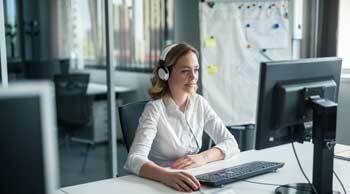 A transcription service includes the process of transcribing dialogue from either an audio or video file. 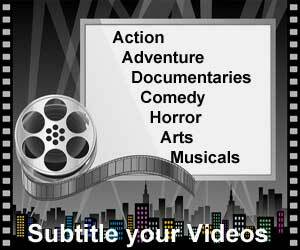 The concept is quite straightforward but there are a few options available in terms of style, format and extras that can be included, especially within the transcription services for videos sector. Below we’ll examine what each transcription service includes, their various benefits and why you should consider getting your videos transcribed. This way you can get a better understanding of what transcription service you may require. Intelligent Verbatim transcription, also known as clean transcription is the process of typing recorded speech, whilst also eliminating any fillers and repetitions that may distract readers or make content hard to read. This type of transcription also omits any unnecessary words such as ‘urs’, ‘ums’, and laughter throughout the transcript. Transcriptionists will often perform edits to intelligent verbatim video transcripts to make them more easily readable, eliminating any irrelevant words. If you intend on publishing a transcript, intelligent verbatim transcription is likely your best option. Verbatim video transcription is the opposite of intelligent verbatim. Conversely, verbatim transcripts include all words that are spoken on the video. This means erms, ahs, repetitions or fillers within the conversation so that the transcript is presented exactly as it was spoken. Verbatim transcription is usually more expensive than intelligent verbatim as the transcriber has to type more words and make judgement calls on when to include pauses and other vocal descriptions in the video. This results in more time spent on transcription. Verbatim transcription can be invaluable in certain transcripts. For example; it is handy when conducting market research to include everything in the script as this may give an indication as to how customers are thinking or behaving when answering the research questions. The logging of rushes is the process where video footage is watched, time coded, and labelled according to it’s content. Logging of rushes should include time codes inserted at regular intervals, normally after every 30 seconds or couple of minutes. They should also include shot changes in the video and descriptions of shots. Time coded transcription helps to align the written text accurately with a video or audio file time stamp. Adding a time coding to your transcription means you can make it easier for someone searching for an important piece of information within a long transcript. Time coding has been very popular in the last decade when used in conjunction with video transcription. The time-code can help to synchronize text with a specific scene in a video. If you would like more information on our video transcription services or to get your videos transcribed, subtitled or closed captioned, why not contact us today for your free quote.